My Surveys: The 4 Points to Quality. 1). I carry out my surveys using a careful, methodical approach. 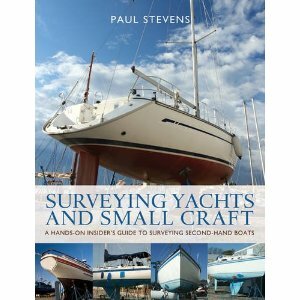 This approach has been developed in with British Marine Surveyors Europe (BMSE) and the International Boatbuilding Training College in Lowestoft. 2). I strive to ensure my surveys are easily understandable, are clear, and give you the relevant information you need without all the useless and pointless waffle and mumbo jumbo so common in the past. 3). I colour code my surveys, so "recommendations" and "suggestions" are instantly identifiable, and I make all efforts to ensure insurance companies fully understand and can identify the "Recommendations" effecting them. This is important as if not clearly defined, insurance companies may refuse to insure a vessel due to a cosmetic defect. 4). Presentation is important. I use photos where useful, but I won't provide you with a picture book report! Your survey will come to you as a "Survey Pack". This includes the Survey, a valuation (where Appropriate) and a CD of photos taken during the survey, along with any useful documents in pdf format relating to vessel or equipment. Above are sample thumbnails of my survey reports. On average a report is around 25 - 30 pages long. The photos and colour coding are used to clearly emphisise areas of concern. All photos are clearly annotated.